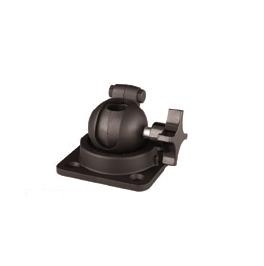 Panavise Premier MDT Base, 90 degree tilt, knob installs from both sides of the ball. Accepts 1" dia. shaft. Accepts any 1" (25.4m) diameter shaft. • Recommended for heavy terminals and electronics. • Square base measures 4.094" x 4.094" (104 mm x 104 mm).